No longer just a board game !!! Based on the table-top RPG Shadowrun, Shadowrun returns goes in no holds barred with numerous fantasy characters such as orcs, elves and even robots. In all my time in gaming I don’t think I have found such exquisite and indulging story-lines. The writing of this game is amazing and it’s definitely worth buying for that reason alone. The game-play has few faults which makes the whole experience very enjoyable but this game isn’t for you if you don’t like taking the time to read and would much rather shoot everything that moves. You are a shadow-runner who’s hit rock bottom, without a penny to your name, you become a mercenary with a thirst for industrial espionage. However your targets are selected with reason, you’re out to avenge the death of a previous colleague … for money of course. The path to the killer seems clear at first and looks very linear but the story pulls you off into different directions and forces you to complete other sub-stories first. With amazing character customization and a range of classes, every character is truly different in their strengths and weaknesses. In most character customizations this doesn’t happen, now just having one extra point in a certain skill can change everything. There are six skills each one made up by a subset of skills which you upgrade and the main skill level is made up from your subset of skills. Your stats effect everything, not just combat, they effect conversations with people and how they react to you and even the way you explore places. Combat is a lot like x-com, turn based with focus on finding cover. As much as your skill set effects the game they hardly effect combat as enemies are dispatched very easily, even poorly thought out classes can fall back on the hired mercenaries found throughout the game. As interesting as the gameplay was I found myself lingering for more of a challenge the further I got into it. Shadowrun isn’t the most graphically adept game however the textures and scenery fits well and the design really helps set the theme and atmosphere everywhere you go. The streets are grotty and strewn with litter. The high tech bots sit perfectly next the the ancient relics from the orchish and elven races. The graphics create a vibrant but appropriately disgusting world. The character design is great when observing your character from skill set screens or from the conversation sidebars but doesn’t greatly affect the appearance in game,though equip-able outfits and the fact the characters are dwarfed by the high-rise scenery improves this oversight. The audio of Shadowrun is highly appropriate and fits the game very well however side-tracks for intensive moments in combat or scaremongering music seems like a huge oversight. Without any voice acting however and the music becoming very much repetitive over time it’s more than tempting to listen to your own music as you play. This makes the audio null and void in my opinion. As good as the campaign is with it’s beautiful story line it’s a mere snippet of what can be achieved with the robust editor tools made available to all players. All we’ve seen so far is what can be achieved and the enticement of community made campaigns and the diversity that can be accomplished is extremely tantalizing. 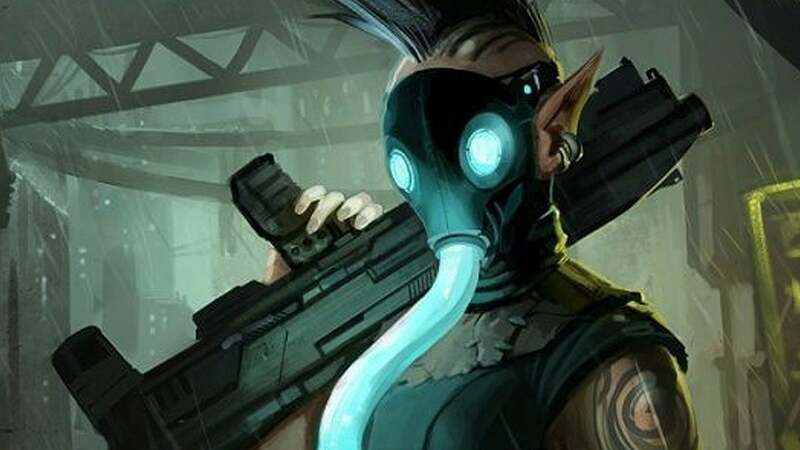 The developers made an exceptional start but in the hands of the community Shadowrun Returns could become much, much more thrilling and indulging. Fun and enjoyably time consuming this game is a definite pick-up at £14.99 on steam. I’ve had hours of fun playing this game and will enjoy many more in a week or less, when I have no doubt the community will begin creating new campaigns and levels.